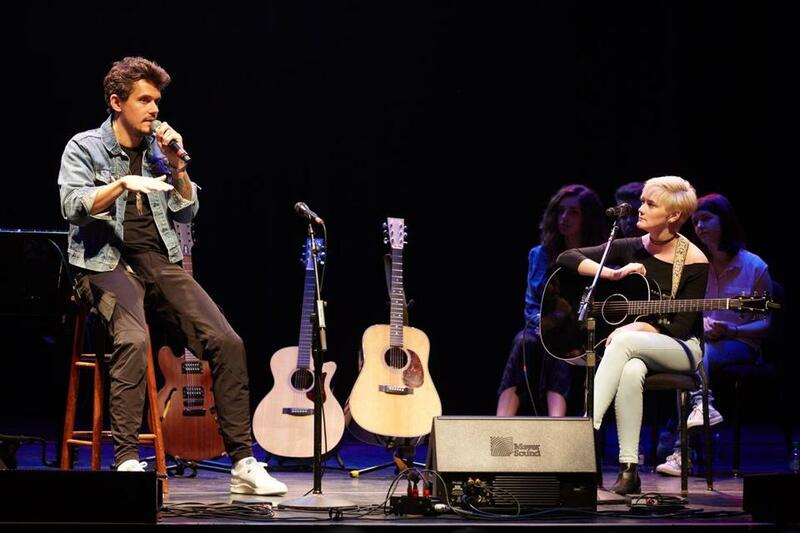 Berklee student Callie Sullivan joined John Mayer onstage during a songwriting master class at the school. 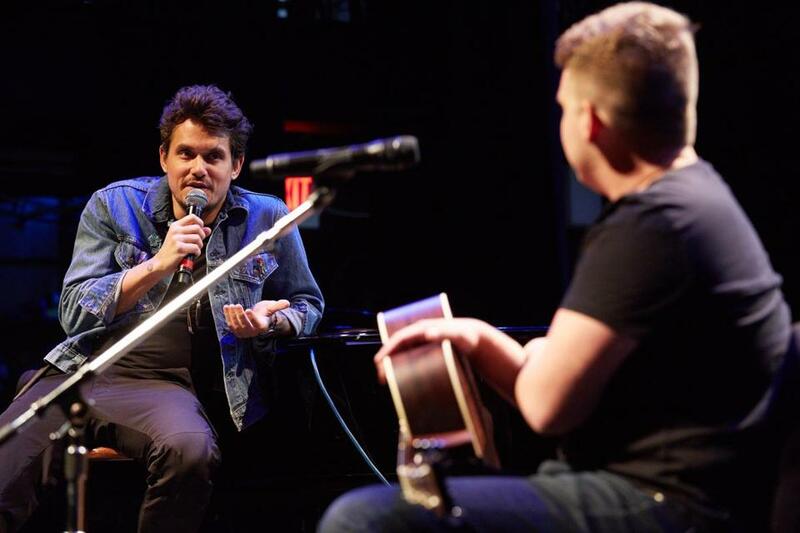 The Grammy-winner and former Berklee College of Music student held an intense two-plus-hour master songwriting class for a select group of six Berklee students, in front of a crowd of some 500 students, faculty, and staffers, in the college’s auditorium Friday. Mayer is in town this weekend to play two shows at Fenway Park with Dead & Company — but if he ever retires from that gig, he has a solid backup career as a professor. 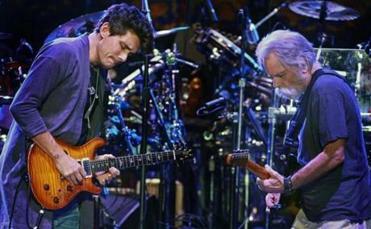 John Mayer and Berklee student Danny Silberstein. Each student performed one original song, either on guitar or piano, with their lyrics projected on a screen behind them. Mayer responded in real time, often contemplating with hand on chin, at times boring holes into the ground, listening, thinking, tapping his fingers, or nodding his head at certain turns of phrase. The band returns to Fenway for two shows this weekend. After Callie Sullivan performed her song, “The Sinner,” Mayer suggested she try one line in a different key. The change was noticeable, and left Sullivan smiling and the crowd cheering. As for why he held the class?